The EGM will be held at Wavell school on the 2nd May. It is a 7.15pm arrival time for a 7.30 prompt start. As per the AGM each club must send 2 representatives. We have received the following questions regarding the proposed cover for the Wavell Insurance see below. The questions in black and answers are in red. 1 . When introducing this to our members, is it correct to say the WINL are looking at not affiliating to EN because their insurance policies aren’t adequate and the relatively high cost of being affiliated? Any other reasons? It was voted at the AGM back in September that the clubs wanted the committee to investigate the other options that were available. Some clubs within the league did feel that the insruance from EN was not sufficient and were unsure of what they actually received from EN for the £40 they pay to affiliate. This is us as a committee, and having spoken to many insurance brokers providing details of those findings in order facilitate your clubs vote. 2. What do members loose by not affiliating to EN? We should give our members a balanced view of what EN do for the sport as a whole (apart from the insurance aspect). We think it is best that you refer to the EN website where you will be able to review what EN do for the sport as a whole and what you feel you may loose by not affiliating. 3. Would the new insurance cover our umpires and coaches? Would umpires and coaches need to be affiliated through EN to maintain their qualification? 7. What about late joiners? Do they get 12 months insurance from the time they join the team or do they get a reduced rate to take them up to the renewal date? There is one renewal date annually. Someone could join mid season and still covered as its adjusted on a quarterly basis in terms of names on the policy. We provide a list of names being covered to the insurers and then if the numbers go up or down, this will then be taken into account at renewal. 9. Have you considered the fact that EN insurance includes public liability insurance which we as a club have to provide to Collingwood College where we train. Your insurance doesn’t seem to include that. Other clubs may require that as well. Wavell will have Public Liability under this insurance for the Wavell premises only. If you need PL to train/play elsewhere then we suggest you have EN or other insuarance to cover that. 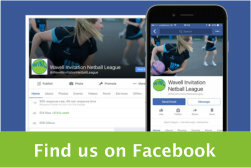 The Wavell Invitation Netball league was founded in 1989 and will be celebrating 25 years of netball in 2014. 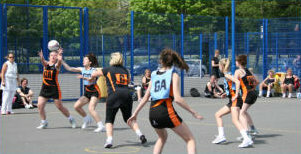 It was started at Ash Manor School and then moved to Wavell School where it had redesigned its netball courts to accommodate 8 floodlit courts. The league has grown and developed considerably over the years and currently we have 62 teams but have capacity for 64. If you&apos;re interested in entering a team in the league please contact us. The League provides competitive netball across all standards with 8 divisions as well as providing training and mentoring of Umpires and Umpire progression. In September 2013 we also introduced a Junior League already proving to be popular - see the Junior League section for more information. The winter season runs from September to April over bi-weekly Monday and Wednesday nights, the first match starting at 7.15pm and the second at 8.35pm. With a summer league running consecutive weeks over June and July for teams to play friendlies and encourage our trainee umpires to practice and gain their C award grade.